Description: Ascorbic acid (AA) is also know as vitamin C. It is present in plant tissues, helps in active growth and has has antioxidant property. It is easily oxidized in aqueous solutions and is favored by oxygen and by heavy metal ions. Description: GABAB receptor agonist; skeletal muscle relaxant; antispastic agent. Description: Non-steroidal anti-inflammatory compound that is selective for COX-1. Description: Topical ophthalmic anesthetic. Used for spinal anesthesia; Blocks voltage-sensitive release of Ca2+ from sarcoplasmic reticulum. Description: Kainate GluR5 receptor antagonist; anticonvulsant. Description: Essential vitamin that is important for amino acid and energy metabolism, and fatty acid synthesis. It is a prosthetic group in four mammalian carboxylase families and facilitates the binding and transfer of carbon dioxide. Description: all−trans−Retinoic acid (ATRA) is a ligand for both the retinoic acid receptor (RAR) and the retinoid X receptor (RXR). The bound RAR and RXR act as transcription factors that regulate the growth and differentiation of both normal and malignant cells. Cytochromes P450 (CYPs) catalyze the 4-hydroxylation of ATRA. Retinoic acid primes embryonic stem cells to become neurons. Description: Sodium channel blocker, local anesthetic. Description: Levetiracetam is a pyrrolidine with antiepileptic activity. Stereoselective binding of levetiracetam was confined to synaptic plasma membranes in the central nervous system with no binding occurring in peripheral tissue. Levetiracetam inhibits burst firing without affecting normal neuronal excitability, which suggests that it may selectively prevent hyper-synchronization of epileptiform burst firing and propagation of seizure activity. Description: Anticonvulsant; ligand for the GABAA receptor benzodiazepine modulatory site. Sodium channel inhibitor. Description: Carnitine is a quaternary amine that occurs naturally in most mammalian tissue. It is present in relatively high concentrations in skeletal muscle and heart where it is involved in regulating energy metabolism. It shifts glucose metabolism from glycolysis to glycogen storage and enhances the transport of long chain fatty acids into the mitochondria where they are oxidized for energy production. Description: α1-adrenoceptor antagonist; L-type calcium channel blocker. Blocks L-type Ca2+ channels in smooth and cardiac muscle, induces apoptosis of human primary and metastatic colon adenocarcinoma cells in vitro. Drug resistance reversal agent acting on Pgp, e.g. decrease renal tubule elimination of digoxin. Increases basal ATPase activity of Pgp. Substrate of Cyp3A4 and CYP2C6. Description: Celecoxib is a non-steroidal, anti-inflammatory drug (NSAID) and a cyclooxygenase-2 (COX-2) selective inhibitor. Celecoxib is at least 10-20 times more selective for COX-2 over COX-1. Description: Levocetirizine hydrochloride is a nonsedating antihistamine. 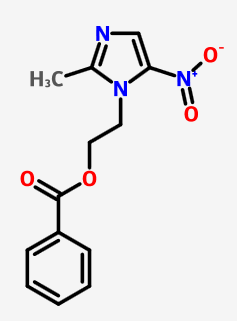 It is a histamine H1-receptor antagonist, the active isomer of cetirizine. Levocetirizine has high bioavailability, high affinity for and occupancy of the H1 receptor. Description: Vardenafil hydrochloride trihydrate is a piperazine derivative, PHOSPHODIESTERASE 5 INHIBITOR and VASODILATOR AGENT that is used as a UROLOGICAL AGENT in the treatment of ERECTILE DYSFUNCTION. Description: Spectrum of Activity: Gram positive cocci and taxoplasma. Especially active against anaerobic bacteria. Mode of Action: Inhibits protein synthesis in bacterial by binding the 50s ribosomal subunit. Description: Na+ channel blocker; class IB antiarrhythmic that is rapidly absorbed after parenteral administration. Description: Oxandrolone is a synthetic anabolic steroid. It is is a non-aromatizable androgen with no estrogenic effects and with mild androgenic activity. 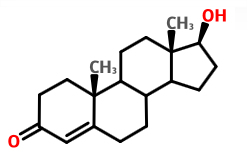 Clinical uses of oxandrolone include to promote weight gain after weight loss following extensive surgery or chronic infections or trauma, to offset the protein catabolism associated with prolonged administration of corticosteroids, to relieve bone pain frequently accompanying osteoporosis, and to treat Turner′s syndrome in girls. Description: White or slightly yellowish crystalline powder or flakes. Description: A fungal metabolite possessing potent immunosuppressive properties. It inhibits the T-cell receptor signal transduction pathway via the formation of cyclosporin A−cyclophilin complex that inhibits calcineurin (protein phosphatase 2B). Inhibits nitric oxide synthesis induced by interleukin 1α, lipopolysaccharides and TNFα. Can block cytochrome c release from mitochondria. Description: Antibiotic; inhibits isoleucyl-tRNA synthetase (IRS). Description: Doxycycline hyclate inhibits the inflammatory response to the Lyme Disease Spirochete Borrelia burgdorferi. It is a broad spectrum inhibitor of matrix metalloproteinases in vivo. Description: Duloxetine hydrochloride is a dual serotonin/norepinephrine reuptake inhibitor (SNRI), widely used clinically as an antidepressant and anxiolytic. Description: Stimulates uterine contraction and lactation; increases Na+ excretion; stimulates myometrial GTPase and phospholipase C.
Description: Phosphodiesterase inhibitor; inhibits synthesis of tumor necrosis factor α (TNF-α). Description: α-Adrenergic receptor antagonist; peripheral vasodilator. Description: Reduces incidence of grand mal seizures; appears to stabilize excitable membranes perhaps through effects on Na+, K+, and Ca2+ channels. Description: Fluconazole is an antifungal agent. It is highly selective inhibitor of fungal cytochrome P-450 sterol C-14 α-demethyllation. Fluconazole is a potent inhibitor of CYP2C9. Fluconazole interferes with fungal ergosterol synthesis and downregulates the metallothionein gene. Description: Fluibiprofen is a cyclooxygenase (COX) inhibitor, which is an enzyme responsible for the conversion of arachidonic acid to prostaglandin G2 (PGG2) and PGG2 to prostaglandin H2 (PGH2) in the prostaglandin synthesis pathway. This decreases the prostaglandins which cause inflammation, pain, swelling and fever. Flurbiprofen inhibits the activity of both COX-1 and -2. The S enantiomer inhibits prostaglandin synthesis and has both anti-inflammatory and analgesic activity, while the R enantiomer does not inhibit prostaglandin synthesis and displays only analgesic activity. Description: Fluticasone propionate is a second generation glucocorticoid. Used as an anti-inflammatory agent for asthma. Shown to enhance eosinophil apoptosis in a concentration-dependent manner via the glucocorticoid receptor. Description: Induces maturation and secretory activity of the uterine endothelium; suppresses ovulation. Progesterone is implicated in the etiology of breast cancer. Description: Sildenafil is a potent, selective inhibitor of cGMP specific phosphodiesterase type 5 (PDE5). Sildenafil is used to treat erectile dysfunction and pulmonary arterial hypertension. NO activates guanylate cyclase, which results in increased levels of cGMP, producing smooth muscle relaxation. Sildenafil enhances the effect of NO by inhibiting PDE5, which is responsible for degradation of cGMP. Description: Shows significant reduction of pre-term delivery by mothers with a history of premature delivery, with no detectable harm to the infant. Description: Sumatriptan succinate is a 5-HT1 serotonin receptor agonist.